You can wait on the new Shield Tablet later this month, sure, but Amazon is looking to tempt you with a killer deal on a 7-inch Kindle HDX with LTE. If you can make do with Amazon's unique take on Android, you can get $100 off the normal price at all tiers. 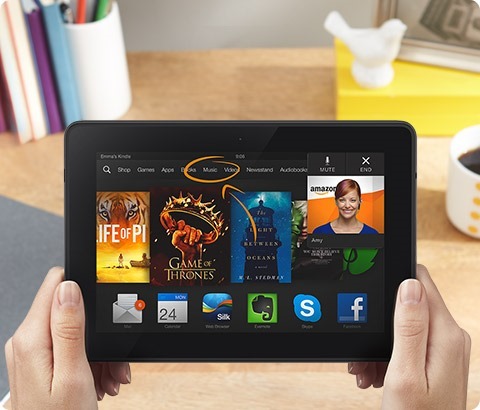 The Kindle Fire HDX packs a Snapdragon 800, 2GB of RAM, and a 1920x1200 resolution screen. This deal is for the LTE variants of the tablet (choose either AT&T or Verizon-compatible), which are usually $100 more than WiFi-only. So you're basically getting LTE for free. This deal includes all three sizes of the tablet – 16GB ($29), 32GB ($269), and 64GB ($309). As with all Gold Box sales, this is today only, so come to your decision quickly.